Somaliland’s authorities arrested intelligence & plain clothes police officers from Ethiopia at Kalabaid center some few kilometers from the border town of Togwajale. This incident prompted diplomatic roar from Ethiopia with authorities in Addis Ababa accusing Hargeisa of receiving confessionary statements jeopardizing their security from the arrested officers. The Ethiopians were “manhandled”, handcuffed and held at Gabiley town police station, and later transported to Hargeysa, the capital of Somaliland, media reports indicated. The diplomatic backlash prompted senior Somalialand officials, including the Vice President and Interior Minister, to make an unofficial trip to Addis Ababa to sort matters and mend ties, according to local news outlets. The narrative is now changed into that of breach of diplomatic immunity and prompted the issuance of an official letter of apology from Hargeysa’s top diplomat. The arrest of the 2 diplomatic staff in Somaliland was deplorable, and we have expressed our regret on the incident of arrest of 2 Ethiopian diplomats at Gabiley. We have contacted Ethiopian Liaison office representative in Hargeysa and Somaliland has submitted an official apology letter to him. We told them that how the diplomats were treated inside our country was “despicable”. The Minister has also told local media that government officials and police officers responsible for the incident are in detention, as investigation is underway. It was not immediately clear if that included the the Governor & the Mayor of Gabilay town, where the detention took place. Neither of the officials disclosed the name of the Ethiopian security agents or diplomats and the circumstances of the detention. Ethiopian officials were not available for comment at the writing of this story. Ethiopia is Somaliland’s biggest neighbor and her best bet at gaining international recognition and meaningful economic and security ties. Addis Ababa and Hargeysa signed an agreement on the use of Somaliland’s Berbera port eight years ago. However, Ethiopia has not made much use of the port, except for the importation of humanitarian items, due to the poor condition of facilities at the Berbera port and security problems on the road. Officials have been conducting several rounds of talks on the utilization of the port in the past months. 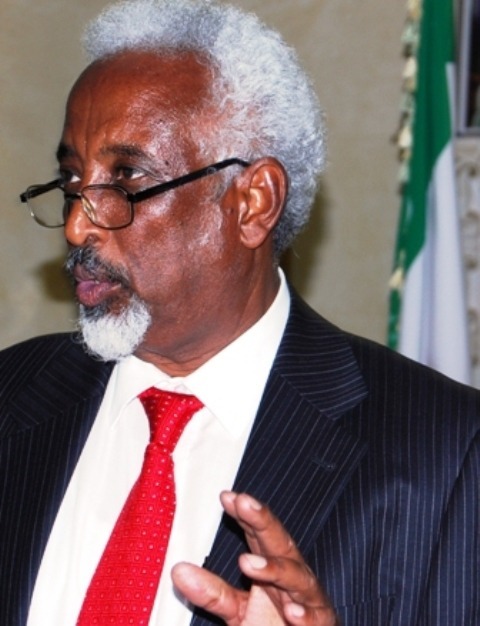 “Ethiopia is the number one friend of Somaliland…..The relationship between the two countries is strategic. Berbera port is near and very convenient to Ethiopia. Somaliland is a de facto independent state that broke-away from Somalia in 1991, but not recognized by any country to date. Ethiopia is the only country with a diplomatic mission in Hargeysa and one of the handful countries that accept Somaliland’s passports as unofficial travel documents. By Daniel Berhane , Hornaffaires and Horn Ofrica Regional Security Reporter JM. November 2011, Addis Ababa – Slovakia has recalled its ambassador from Addis Ababa after Ethiopian security forces detained but later released the envoy. Mr Milan Dubcek was arrested and detained for two days by Ethiopian security and released without any further explanation or charge. He was arrested while he took a photograph from Entoto Mountain, which is 10 minutes drive from his residence and less than 1km away from the US Embassy. The Slovak ambassador spent November 5-6 in Addis Ababa prison, despite his diplomatic immunity. He was released after European diplomats intervened. The Slovak Foreign ministry has demanded an explanation and official apology, but the Ethiopian Government has refused to comply. Addis sent a letter to Slovak officials, but the latter’s Foreign ministry said it was inadequate and continued to demand an official apology. “We have scrutinised the letter, but its content did not satisfy us, so we again have sent our reaction,” Slovak Foreign Affairs minister Mikulas Dzurinda was quoted as saying by Slovak state news agency. EU diplomats held a meeting in Addis Ababa and raised their concern over the incident, which they said contradicted the Vienna Convention on diplomatic immunity. During the May 2010 election, Ethiopia imposed a two-week restriction against diplomats travelling out of Addis Ababa to avoid what was said to be “unnecessary intervention”.